Dr. Tobin's commitment to the community includes a series of monthly workshops. Save this page in your browser 'favorites' and check back often to see what's coming next! Dr. Tobin will present on a wide variety of topics to share helpful information about maintaining a healthy lifestyle or what to do if you're not feeling as well as you could be. When you find an interesting workshop that you'd like to attend, be sure to use our online scheduling system to reserve a seat! We'll look forward to seeing you! Do You Believe Degeneration and Illness Are Inevitable? Do you want to confidently take charge of your own health? and learn important information designed to put you on a road to better health and longevity! • Discover why regeneration is natural and degeneration is optional. • Sort through confusing health BS. • Find out why you should make health the foundation of your financial portfolio. • Learn about the game-changing new science of “Epigenetics”. • Get 5 empowering regeneration tools, tips, and strategies you can start using immediately. Dr. Tobin will be speaking at Orange County Ultimate Women’s Expo at Anaheim Convention Center on April 15 only! Tickets to the expo and Dr. Tobin's presentation are free with the link provided in this anouncement. 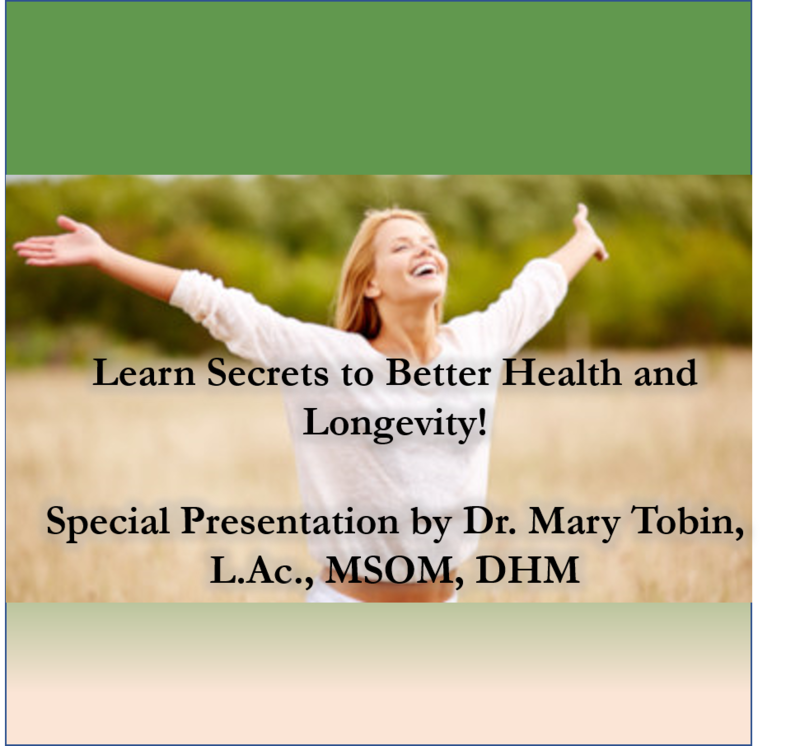 Learn the latest science behind health and legity from Dr. Mary Tobin and enjoy the Orange County Ultimate Women's Expo! Schedule to attend an upcoming workshop!